Home / khloe kardashian / Lamar Odom / Showbiz / Khloe Kardashian and Lamar Odom Call off their divorce. Khloe Kardashian and Lamar Odom Call off their divorce. 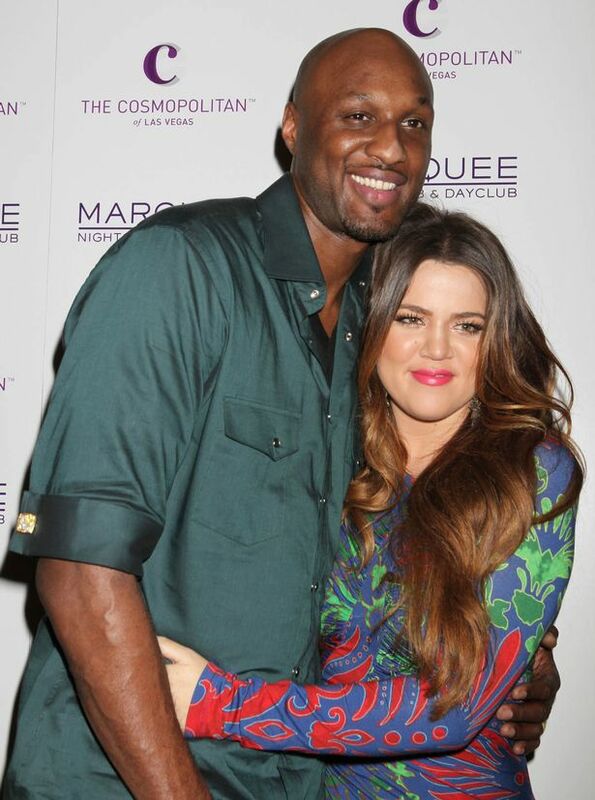 Khloe Kardashian and Lamar Odom are back together after he hit rock bottom, it has been claimed. The KUWK star reportedly called off their divorce as she continues to stay by his bedside in a rehabilitation centre following his tragic collapse in a brothel earlier this month. Now TMZ is reporting the pair are giving it another go after the NBA veteran swore to Khloe he would never take drugs again. A source told the site Lamar promised Khloe over the weekend: "I am done with drugs." He also thanked her for being there with him every step of the way and 'repeatedly told her that he loved her'. Khloe's lawyer, Laura Wasser, went to court on Wednesday and got a judge to call off the divorce case, although some members of the Kardashian/Jenner Klan are reportedly not happy with her decision. The couple married in 2009 and Khloe filed for divorce in 2013 amid rumours Lamar had cheated on her and was battling a drug problem. Khloe took her time signing the papers and was still seen chatting and flirting with Lamar over the phone during episodes of KUWK. The 31-year-old - who flew to Las Vegas to be with her estranged husband after he was discovered unconscious at the Love Ranch in Nevada - reportedly decided not to attend her sister Kim's 35th birthday celebrations on Wednesday and opted to stay instead with Lamar. "Lamar isn't doing that well," an insider told Us Weekly. "He can't stand up by himself. She is still very worried about him and uncomfortable with leaving."